I think im going to write one of my recipes in english, even though i have no clue how much a cup is.. so im going to write gram because that's what i know and that's what we use here in Denmark! 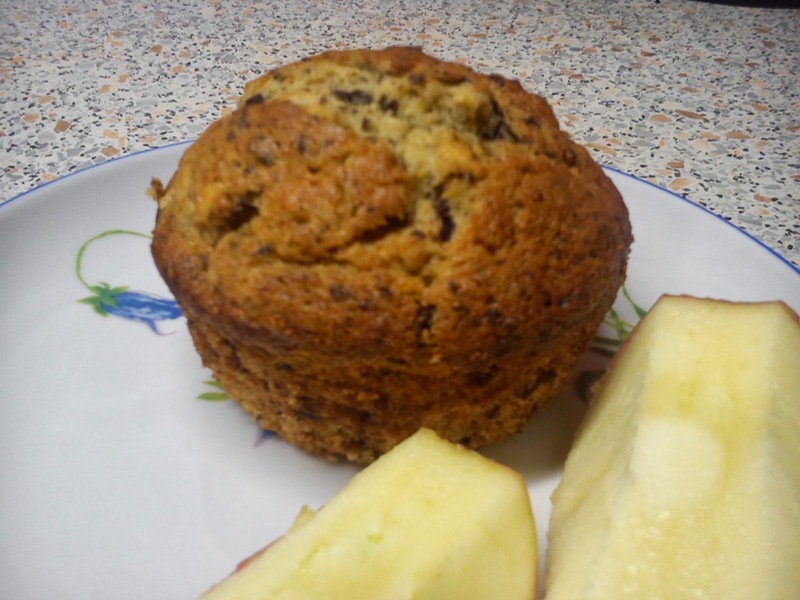 So i had my friend over last sunday and we don't really see each other that often anymore, so i though i would bake.. again xD and my Uncle is on the hospital where the dessert is porridge every day so i felt bad for him, so yeah... Banana muffins! The danish version of the recipe is from Arla and right here! Whisk eggs, sugar and vanilla sugar white and foamy. Mix the flour with the baking powder and cinnamon. Melt the butter over low heat and cool. 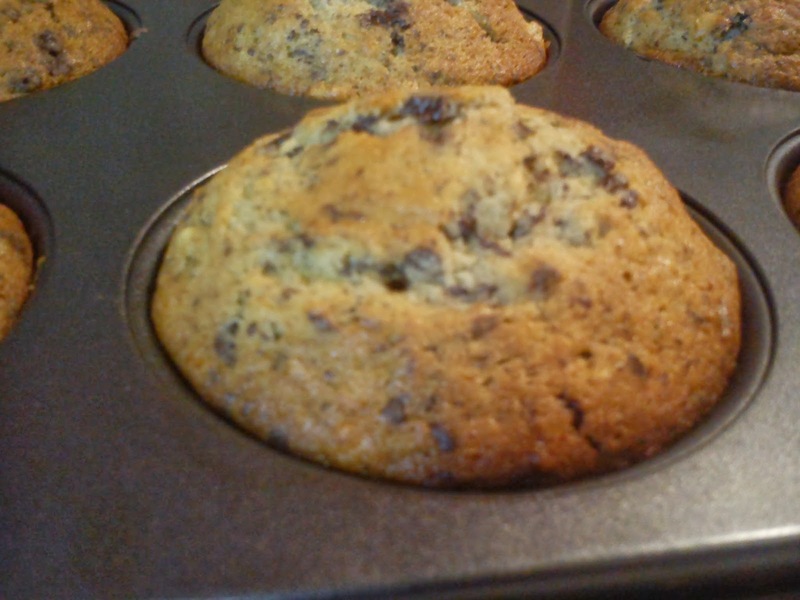 Stir in the flour and melted cooled butter into the egg mixture with mashed bananas and chopped chocolate. 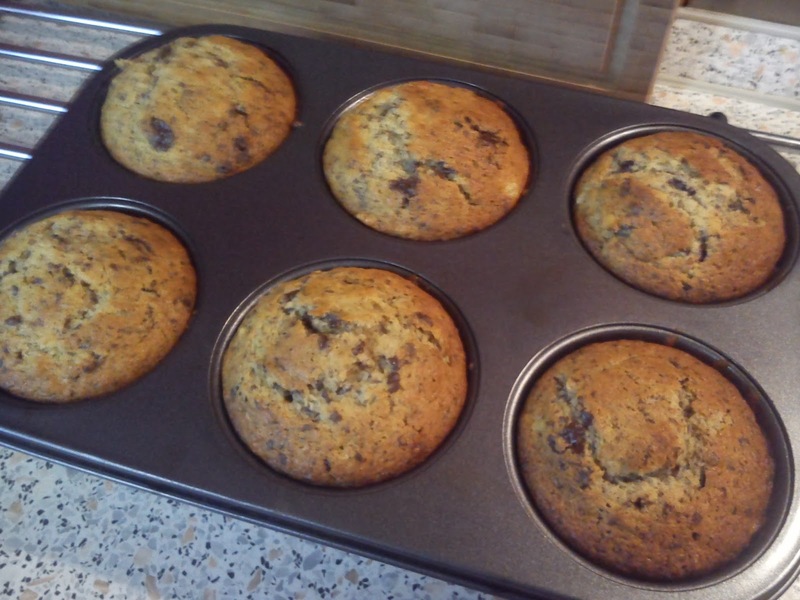 Divide the batter into muffin molds and bake it in middle of the oven. Bake it 15-20 minutes at 200 degrees.